Scrub typhus, a disease transmitted through 'chiggers' that kills at least 140,000 people a year in the Asia-Pacific region, may now be endemic in a part of South America, according to a study published in the New England Journal of Medicine. 'Scrub typhus is a common disease but a neglected one. Given that it is known to cause approximately a million clinical cases and kills at least 140,000 people each year, this evidence of an even bigger burden of disease in another part of the world highlights the need for more research and attention to it,' said Prof Paul Newton, Director of the Lao–Oxford–Mahosot Hospital Wellcome Trust Research Unit (LOMWRU), which collaborated in the study. Scrub typhus has been known for years and the bacteria that causes it was first identified in Japan in 1930. It is spread by the larvae of mites – commonly called chiggers. 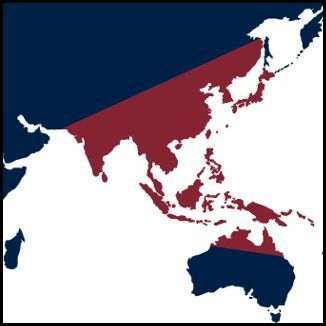 Until 2006 it was thought to be limited to an area called the 'tsutsugamushi triangle', which extends from Pakistan in the west to far eastern Russia in the east to northern Australia in the south. 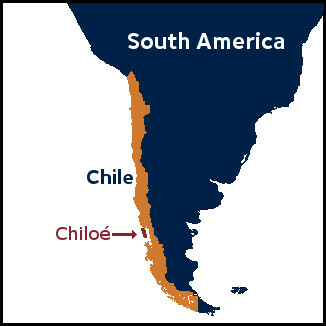 'The cases of scrub typhus, found off of Chile's mainland, expand our understanding of the epidemiology of scrub typhus and suggest that there may be a much wider global distribution than previously understood,' said study author Dr Tom Weitzel, of the Universidad del Desarrollo in Chile. In January 2015 and then in early 2016, three more cases were discovered by a hospital in Ancud, a town on the northern coast of Chiloé. The hospital was taking part in a study of infections by rickettsia bacteria, similar to the scrub typhus-causing Orientia. Ther paper, Endemic Scrub Typhus in South America, is published in the New England Journal of Medicine (doi:10.1056/NEJMoa1603657).